A decade ago, flip phones ruled the world. 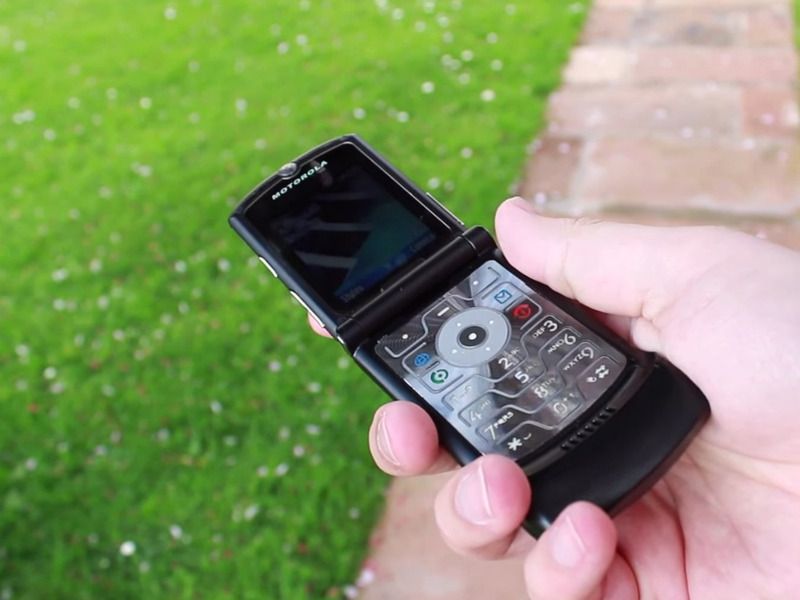 The Motorola Razr was the bestselling clamshell phone, selling more than 130 million units during its four-year run — starting in 2003, and ending in 2007 with the introduction of the iPhone. Apple’s smartphone changed everything. Suddenly, phone makers needed their hardware to be “smart,” and tried their best to emulate the “large” 3.5-inch screen of the iPhone. They discarded the common smartphone design — a small screen on top with a keyboard on the bottom, with a hinge connecting the two “shells” so one would protect the other when closed — opting for a simple, unbendable rectangle with an exposed screen. Years later, smartphones are everywhere. According to the Pew Research Internet Project, 56% of American adults owned smartphones, and 83% of millennials (people aged 18-29) owned a smartphone. And yet, the smartphone hasn’t reached total saturation. Because there’s still something to be said for the old-school clamshell, even though its simplicity disallows all the latest modern apps and tools like Uber and Spotify. But perhaps there’s a middle ground. Today’s smartphones have almost everything, but clamshells have one distinct advantage: Since they can fold in half, their displays remain protected when closed or in a pocket or purse, and the phone’s form factor also becomes smaller, too. So unlike larger, taller “phablets” like the iPhone 6 Plus and Galaxy Note 4, you won’t see flip phones peeking out of people’s pockets, which makes them harder to steal. 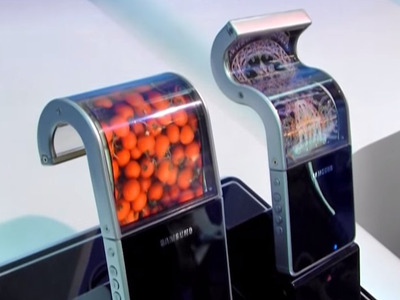 Samsung plans to release its first smartphone with a super flexible display next year — though it’s been showing off the ability to bend and deform working displays since 2010. If Samsung can push its flexible displays to withstand constant bending, perhaps we could see a smart flip phone: A handset with a large display that’s also super portable and protected, since it can be folded. This dream is still years away: Phone makers have been taking baby steps in terms of rolling out flexible display technology to the public. Last year’s Samsung Galaxy Round and LG G Flex were the first major “curved” phones, but they were curved without being flexible, and were generally met with a lot of criticism. This year, Samsung released the Galaxy Note Edge with one curved side to offer unique functionality, but that phone costs a whopping $US946 off-contract, and it offers the same specs and features as the Galaxy Note 4. But quality flexible technology is definitely coming: Last year, we got a glimpse of the PaperTab, which is a 10.7-inch plastic touchscreen that’s as thin and flexible as a sheet of paper, and can be bent, thrown around and deformed in all sorts of ways — and bending the display also activates all sorts of functions, as well. The trick will be finding a hardware design that can accommodate all the bending. But that’s where the flip phones could come back. People clearly love the clamshell design, and they went nuts about five years ago when news leaked that Microsoft had plans to build a tablet that would fold like a book, or like a clamshell, called the “Courier.” Unfortunately, Microsoft killed that product two years after that initial news leak, so we’ll never know what it’d be like to have a flip-tablet. But it’s not too late for a smartphone to offer this same design appeal: Something with plenty of visual real estate that can be folded and protected by its carapace. The clamshell phone ruled the world 10 years ago, and the large-screened smartphone is dominating this decade. In 10 years from now, there’s no reason flexible displays couldn’t allow the clamshell fashion to thrive once again. But by then, maybe we’ll have moved onto something even better.